Currently no Vossa-Satl as a furnishing? One thing I have come to a conclusion on so far is that I really like the Vossa-Satl. ...but it doesn't seem to show up as a furnishing, from what I've seen so far. Which disappoints me. Cause when I saw it in that stream awhile back, I was hoping we'd get one for our homes. Maybe as a collectible furnishing like the Xinchei-Konu. Or maybe they're working on it secretly and trrying to make it actually playable? i dunno. I've also noticed this shell...horn?...not sure what it is. Other than it being another instrument. Anyone else hoping either of these eventually get added as furnishings in the future? 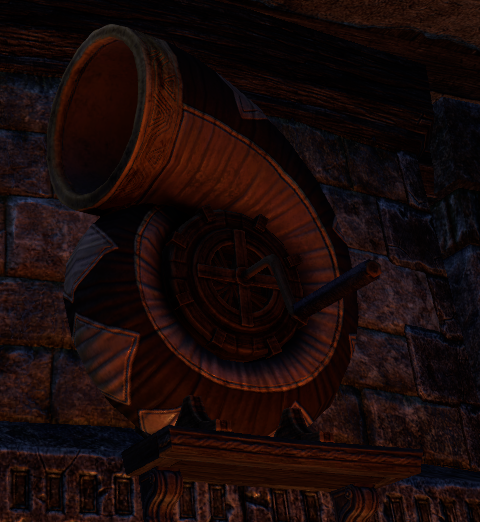 And what else have you seen in Murkmire not yet available as a furnishing? As soon as I saw those I immediately checked if they were available and was disappointed they weren't. I'm hoping they may come to the Luxury Vendor at some point. 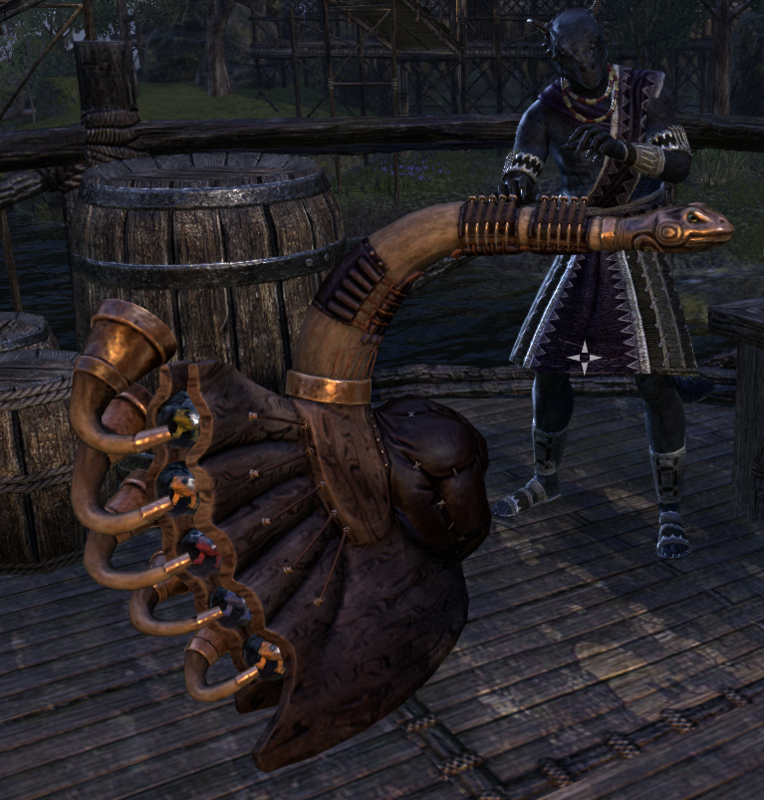 I thought it was ironic that Murkmire featured a store that sells musical instruments and the player cannot purchase them let alone place them in their homes. I belive it was datamined as memento from next season crown crates. Ah, so it has. Well, even though I wish I could have one on display, I like that we'll be able to play it, at least! Its a pity they take great items and make them memento pieces instead of furnishings. Vossa-satl and last the Clockwork prologue item thingy. They would have been great housing items that you could interact with for special audio and visual effects, instead of yet another memento piece that you will never use. Maybe it will show up in Luxury Vendor or CS furniture packs. There are already 2 furnishing packs on the PTS, and it's not in any of them. It's not in any of the datamined lux items either. And since they made it a memento, I highly doubt we'll see it as a furniture item. None of the mementos have doubled as furniture items either. The Sixth House Bell would have been better as a furniture item. Same with the Tonal Inverter. Both the Clockwork Obscuros and the Umbral Projector would have worked better as furniture items as well. It's really wasted potential making them mementos instead of furniture items. No one uses mementos, the UI is way too outdated, having to quicklot a finite numer of mementos, and competing with your actually useful consumables such as potions. They would all have looked a lot better as furnishings you could place in your house and interact with. Or in the new Crown Crates... And it is a memento. The plants you asked about are in the crates, but as furnishings, at least. Ask and be moderately disappointed. Sorry about that.